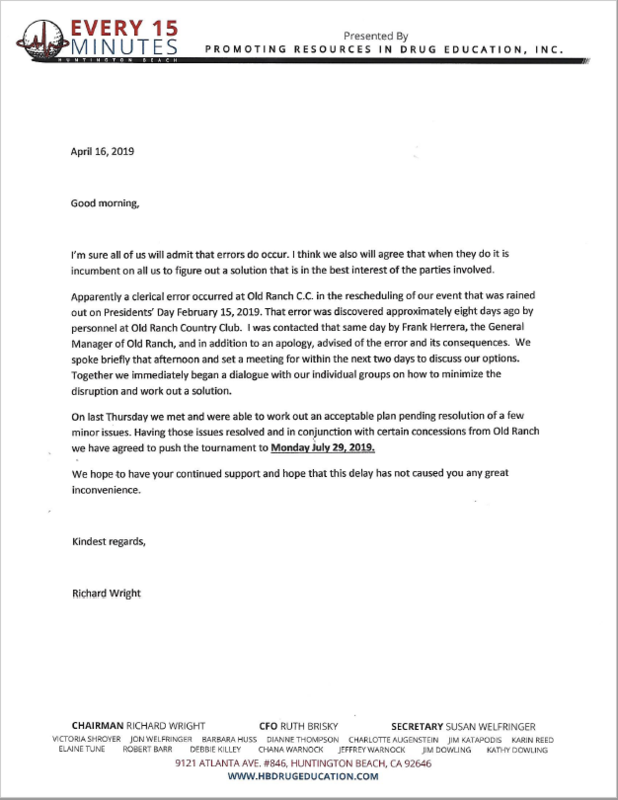 Please read the letters below regarding the rescheduling of our annual golf tournament. Promoting Resources in Drug Education, Inc. was established in 1997 as a 501(c)(3) Charitable Corporation for the specific purpose of creating partnerships between the business sector, community groups, and grant sources. This coalition would then sponsor programs for educating our youth about substance abuse while emphasizing positive decision making skills and combating drug abuse. The very successful Every 15 Minutes yearly high school program formed in 1997 is a direct result of that coalition and continues to be a success today. 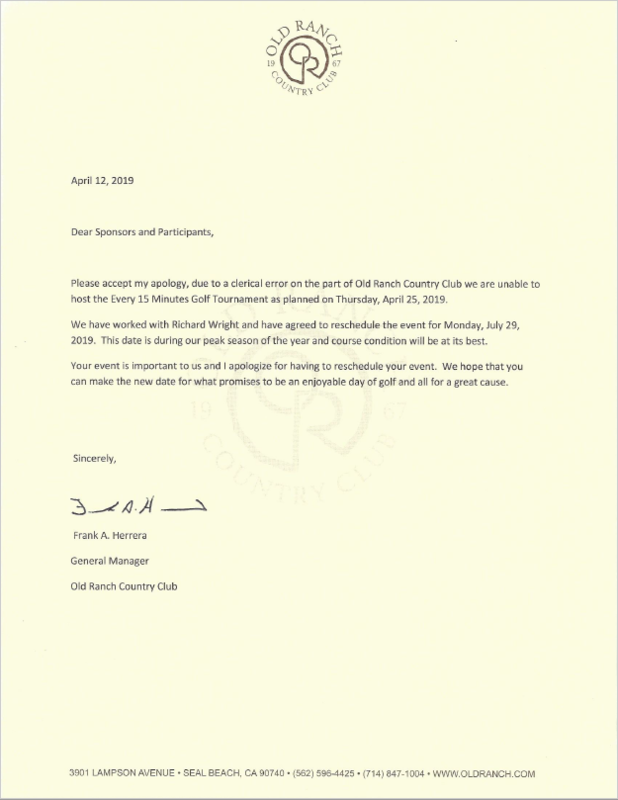 Our annual Every 15 Minutes High School Scholarship Charity Golf Tournament & Fundraiser has been postponed until Monday July 29, 2019 at Old Ranch Country Club in Seal Beach, CA. Please see the Golf Tournament page for full details and to register. Every 15 Minutes crash re-creation will be held Wednesday, March 13 & the Assembly Thursday, March 14, 2019 at Marina High School.